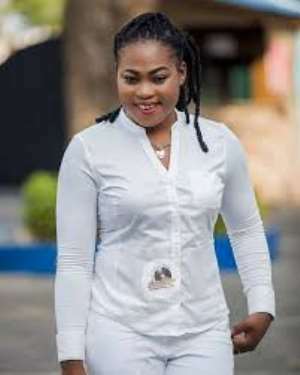 Gospel musician, Joyce Blessing, has bemoaned the lack of unity in Christianity. The “Repent” hit maker claimed that some Christians in Ghana think their church is better than others which makes them show others do not fellowship with. Speaking to Foster Romanus on ETV’s Late Night Celebrity show, she indicated that the body of Christ is not united. Joyce Blessing stated that Christians are fond of criticising other Christians who they do not share the same faith. Sharing her experience as a gospel singer and a Christian to buttress her point, Joyce noted that, “I’m always criticised by my fellow Christians just because I have a cordial relationship with a lot of secular musicians they see them as evil, and it’s wrong”. According to her, although there are many gospel musicians preaching the word of God through music when a gospel artiste does not sing according to the faith of a church, they say the song is not spiritual. Joyce Blessing, however, called on Christians to support one another to help improve the Kingdom business.